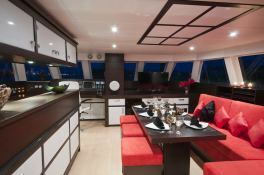 In The Wind, is a magnificent Sunreef 58 catamaran welcoming you with contemporary Japanese interior design. 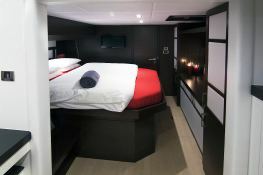 Wenge wood design contrasts with her ceilings and light floors, while red touches highlight the simplicity of this luxury catamaran. 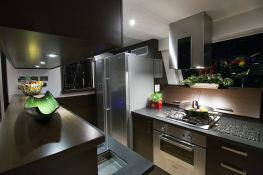 The welcoming atmosphere of In The Wind will exceed your expectations. Panoramic windows provide both light and incredible views. 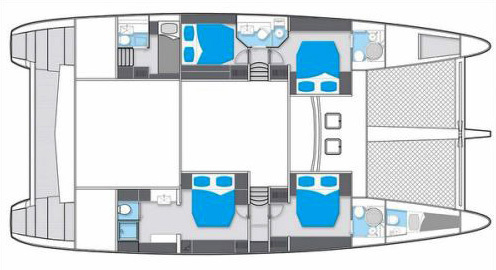 She has luxurious cabins for 8 with double beds overlooking large portholes. 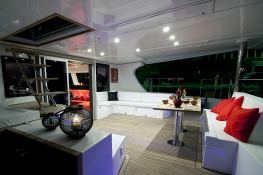 One of her advantages is the hull length made of composite materials enabling her to reach high speeds to entertain you. 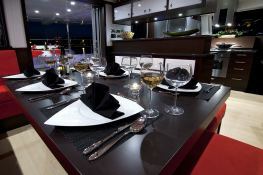 The lower deck is the ideal place for dining or relaxing. 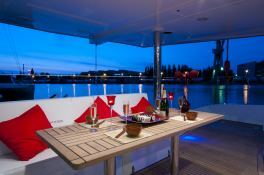 In The Wind is fully equipped for water sports with water skis, kayaks, fins, masks, snorkels and fishing equipment. 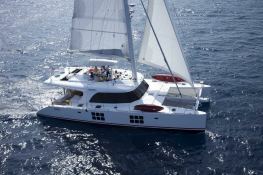 She will enthrall you in the waters of Indonesia, Australia and New Zealand. 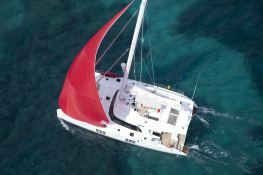 This crewed catamaran is available for yacht charter with a base price of 30 000 $ (approximatly 26 602 €).